Hey there. Technology is an amazing thing. We can easily send a text or Email to family in the opposite coast, we can tweet with celebrities, we can follow our favorite shows on Facebook, and we can stay connected with our business contacts across the globe on Linked In. What I'm trying to say here is that we are all connected and there are so many different ways that we stay connected with friends and family. While that is great, what really gets to me is that I need to keep tabs on several apps, Email accounts, and social media websites. It can be time consuming! Well, what if I said that there is an app that keeps all of the above in one easy to access place! Welcome, MessageHub! MessageHub is a free to download app that will keep your texts, Emails, Facebook, Twitter, and LinkedIn posts all in one convenient app! I've been using it for the better part of the week and now feel comfortably able to speak about this app. So, let's get into my experience with the MessageHub App. So... why MessageHub? The answer is quite simple. I am tired of having to flip from app to app on my phone. A message on FB? Let me click on check FB. An Email? Let me close FB and get to my Emails. Twitter response? Let me get out of my Email and jump on Twitter. See the problem here? And to be quite honest with you, I get a lot of messages. A LOT OF MESSAGES! Being an online presence (no matter how small), I end up with a lot of fan messages and inquiries for my website. I need to be able to streamline my time so that I can get back to everyone in a timely manner. I've said it before, people are reaching out to me, it's only fair that I give them the respect they deserve and respond. I need an app that will keep everything easy and convenience for me. And MessageHub does it for me. I love the simplicity. I love to be able to get to my messages and respond right away and MessageHub allows me to do that in the quickest way possible. Now, on to some of the features that I found most useful. First things first, the MessageHub App groups all messages by contact. That's awesome. If my wife sends me an Email, a text, and tags me on a Facebook post, they will all be grouped together under my wife's name. From there, I can easily reply to any of those messages. Another thing that's pretty awesome is that I can share posts and messages from the app as well. If my wife sent me a funny picture via Email, I can easily Tweet that picture or post it to Facebook directly from the app. Again, simplicity and convenience. Smartphones get cluttered very easily. One thing that I find myself doing, A LOT, on my phone is having to clear the cache on several apps because is clogs up my phone. Since using MessageHub, I have not had to do that yet. I have since removed the Email app from my phone and I don't find myself on Twitter or LinkedIn as often so my phone is not being cluttered by all that data. Having the MessageHub App on my phone has actually made my phone faster! So what's my verdict? It's a must check out app! 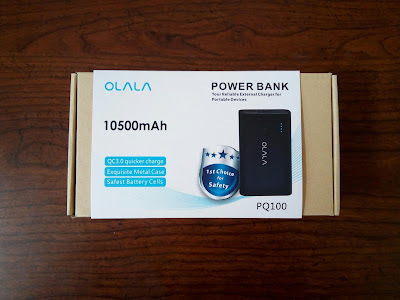 I found it extremely easy to use, the interface is user friendly and easy to navigate and the fact that it wont clutter my phone with useless feeds is a HUGE plus! If you have a busy life and just can't mess around with several apps just to stay in touch, you have to give MessageHub a try. 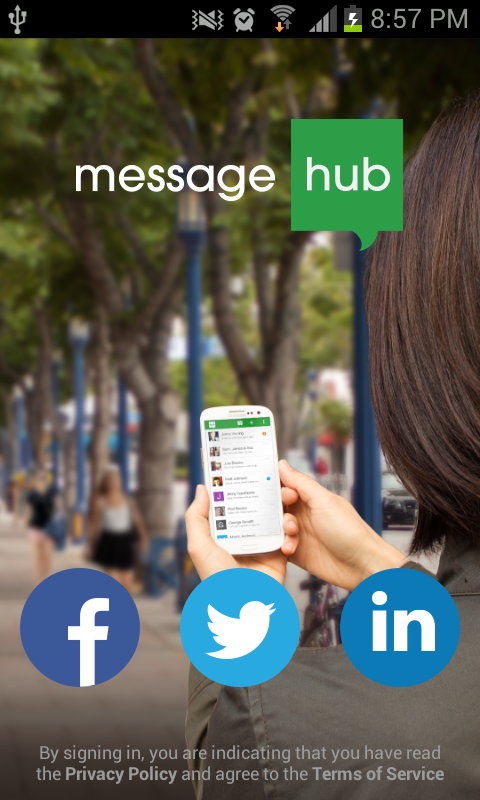 MessageHub is available for Android and iOS platforms and again... IT'S FREE! If you still want some more info. Check out this infographic. So what do you guys think of this app? It has more than a few useful features. Which would help you out most in you life? Let's hear it in the form below, friends! Later!